ASIA Metropolitan University (AMU) has over a decade of experience in developing high quality education in various realms of knowledge. Anchored by this, AMU has produced a total of 25,380 graduates since it was established in 2000. To be at the forefront of healthcare and allied science education via state-of-the-art research and teaching facilities, backed with the latest methods, technologies and an extensive data repository. To drive a new standard of excellence in academics and research with the singular goal of graduating students who are exemplary role models in society with global employability. To be a learner-centered university that is anchored to instill passion for learning and drive critical thinking through a committed faculty who are the best in their fields. To be a Malaysian private university, globally recognised for quality healthcare and allied science education. AMU offers a wide range of courses from foundation to postgraduate level. 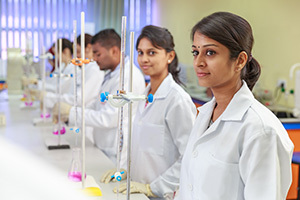 The university is equipped with the state-of-the-art facilities with a focus on quality in the areas of teaching, research, innovation and consultancy. The emphasis on quality has made AMU not only a hub for local students looking for a quality affordable education but also international students who are looking to further their studies in a conducive academic environment. ALLIED SCIENCE & HEALTHCARE PROGRAMMES that include programmes in medicine, pharmacy, physiotherapy, medical imaging, medical imaging & radiotherapy, biomedical science, paramedic science, nursing, healthcare, environmental health, and occupational safety & health, and others. BUSINESS STUDIES that include programmes in business administration majoring in marketing, human resource management, hospitality and tourism management, hospital administration, and healthcare management.